Last year I joined my friend Laura at the Books With a Bite blogger evening, where YA and children's teams across the Hachette Group presented some of their most exciting upcoming titles. One of the books that came on my radar during the evening was The Loneliness of Distant Beings, a debut by UK author Kate King. The space opera adventure sounded both intriguing and romantic, and I really enjoyed it. So I was very excited when I was unexpectedly sent a copy of the sequel, The Glow of Fallen Stars. The new book picks up moments after the mind-blowing finale of the first and so you do have to read them in the right order to be able to keep up. Lovebirds Seren and Dom, alongside Mariana and Ezra, have managed to safely escape the confines of their space sip Ventura and have landed on the planet they've admired from afar for so long: Huxley. I really enjoyed Kate Ling's first novel in the Ventura Saga; The Loneliness of Distant Beings. It was chilling and bleak and really set up an interesting story for a follow-up. Fast-forward a year and a half, and I was kindly send copy of the follow up: The Glow of Fallen Stars. Admittedly, after so many months had passed and so many books were read since, The Loneliness of Distant Beings wasn't fresh in my mind - despite loving it so much. This meant that it took me quite a few chapters to get back into the story and remember the relations between the different characters. However, when I got back into it, I REALLY got into it. I feel that The Glow of Fallen Stars is to The Loneliness of Distant Beings, what season 2 of The 100 was to season 1: it sets up an entirely new mind-blowing and exciting concept, expanding the universe beyond anything the reader and characters could've possibly imagined. I don't want to go into detail exactly on what this change in storyline direction is, as it's much more enjoyable to discover for yourself, but man I loved it so much and I cannot wait to learn more about it! The Glow of Fallen Stars was surprising, fascinating and so very imaginative. Its explosive conclusion was totally worth the slightly struggle getting back into the world of Ventura at the start of the book, and I hope there is much more to opportunity to explore these new directions in future installments. 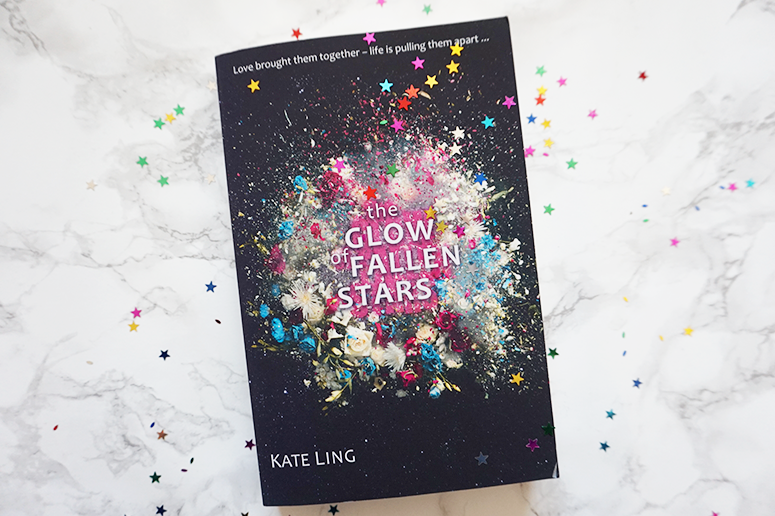 The Glow of Fallen Stars is published by Little, Brown and you can purchase your copy now from Foyles or your own preferred retailer.